This new beach front addition to Coco Loco is only steps from the beach. The new Beach House offers 3 A/C rooms with ensuite washrooms, a large kitchen, an amazing warp around deck and surf right on your doorstep. We offer 2 rooms with a Queen size bed and a third larger room with 3 single beds. 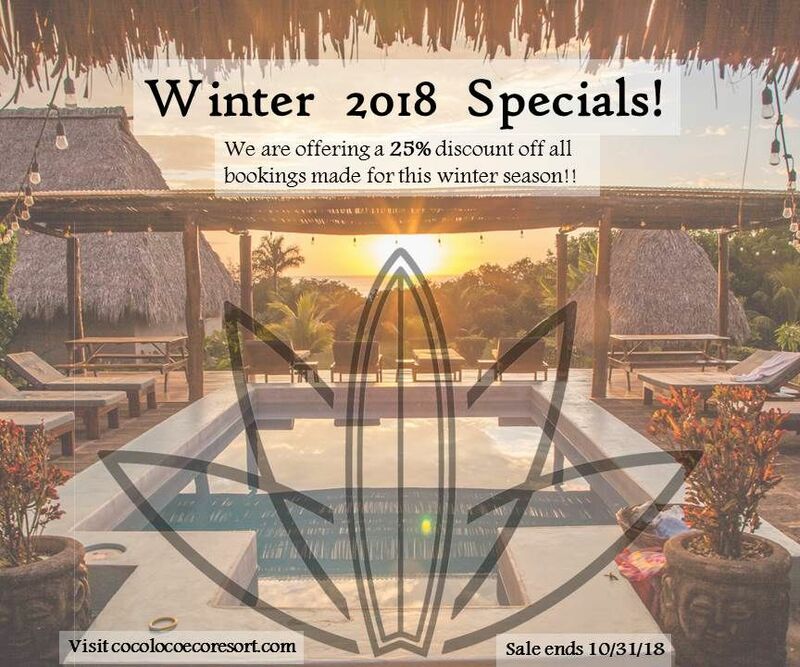 Pricing includes all meals, non-alcoholic drinks and Nicaraguan taxes. * based on single occ., discounts for double+ occ.